We’re pleased to inform you that RoboForex Financial Group is an official sponsor of the Limassol Police Department football team. Supporting the participants of an amateur football league is the Company’s conscious step to help and promote local sport, which is sure to be a better way to invest funds than to hold expensive advertising campaigns. Moreover, our cooperation with the Police Department is another sign that the Company’s activity is completely transparent and that RoboForex is striving to operate honestly and legally in all spheres of the modern society. 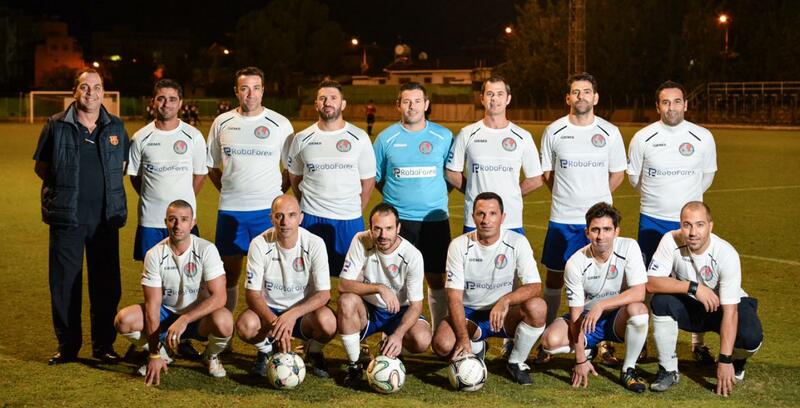 IPA Limassol Football Team was founded in 2011 to participate in charity football tournaments. The team consists of amateur athletes, who played football in the evenings to fight stress and find new ways of self-fulfilment. At present, the team is participating in KOEP, a local nonprofessional league, and KOA tournaments for the Armed Forces of the Republic of Cyprus. So far, IPA Limassol Football Team ranks second in the standings with 5 wins; the team’s players have a serious attitude for winning this season and play each game with maximum efforts. In order to be kept up-to-date of the latest success of IPA Limassol Football Team, including photo reports from games, visit the team’s website. We will follow the progress of the Cyprian footballers as well and would like to wish them more impressive wins!